Overvolt Racing - Play car games, cars games and more online racing games at GamesOnly.com! 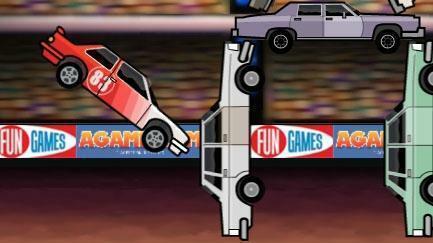 Beat your opponents in this cool 3D racing game. The 3D environments are very nice to race in, everything is large in this game because the cars are very small, similar like in Micro Machines. Buy upgrades for your car to go even faster, good luck beating your opponents!